When I decided to write about the town of Ludlow this month I envisioned a completely different blog from the one I am writing. I would have told you about the 250th celebration of Ludlow’s charter and posted a picture of the new flag designed to represent the occasion. I might have mentioned the two kinds of coffee from the Vermont Coffee Company in Middlebury that Java Baba’s sells. I could have told you that the Ludlow Shipping and Copy Center has relocated to 100 North next to Bella Luna and introduced you to Pam Timmerman. I might have mentioned that the Coleman Brook Tavern is one of four Vermont Restaurants to receive the Wine Spectator Best of Award Excellence in 2011. I could have given you the basic information about Ludlow. 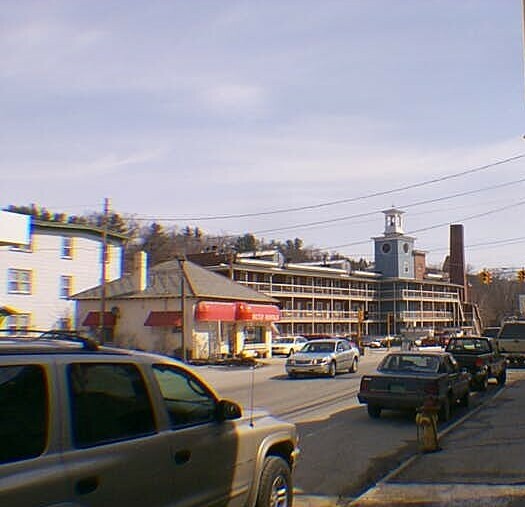 It is a town in Windsor County, Vermont with a population of 2,449 in the 2000 census. The village was well developed before anyone thought of skiing on Ludlow Mountain. Now Ludlow is proud to be the home of Okemo Mountain, a very popular skiing area. Ludlow is a town of natural and historic wonders, self – reliant and community – spirited people and shops and galleries that feature local favorites. On Sunday August 28th, Ludlow was hit very hard by Tropical Storm Irene. The Black River could not hold the steady and constant rain over a 24 hour period and overflowed its banks quickly and devastatingly in many parts of town. You’ve seen the devastation to homes, businesses and our roads on television in the newspaper and on the internet. What you don’t see is the community spirit, the banding together and the progress that has been made so quickly! Neighbors checked on neighbors and assisted when needed. Second – homeowners called upon locals to check on their property – by car or on foot. DJ’s opened their restaurant on Monday night offering a free buffet for anyone who needed food. Knight Tubs was open for business on Wednesday even though their parking lot was destroyed and their basement flooded. Shaw’s supermarket opened just one week after they were flooded – in a temporary tent set up in the parking lot. The Ludlow Health Center made the Dental Center its temporary home. There are many businesses that didn’t flood and remained open. The Local Ski Shops traditionally open on Labor Day weekend and so they did – business as usual in Ludlow! These resilient and spirited people of Vermont are moving quickly to get their businesses open to be able to serve the community and return the town of Ludlow to the vibrant little village it is. Kudos to everyone for working hard and fast, finding creative and temporary solutions and keeping the Vermont spirit alive! Come visit! Ps: and I’m NOT taking the name of this tropical storm personally!